If you’re an avid bowler who hits the lanes frequently, you’re best served by having your very own best bowling ball on your side. Of course, not all bowling balls are created equally. It takes great care and consideration to ensure that you purchase one which is right for you. But what if you’re clueless as to what you need to look for in a bowling ball? What if you don’t even know where to start? Well, you’re in the right place. What is the best material for a bowling ball? How do you choose bowling ball weight? 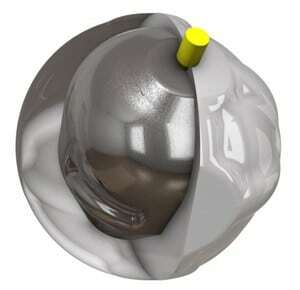 What does a urethane bowling ball do? This guide is designed specifically to help you find the best bowling ball for you and your purposes. Not only will it give you detailed information on what to consider, it will also provide you with a compilation of 5 of the top bowling balls on the market today. Okay, first impressions of the Storm Timeless. I’d like to say I was surprised by how much it hooks, but it’s Storm ball. It seems to have maximum efficiency through all phases, meaning it hooks a ton. For value, I gave the Storm Timeless an 8 out of 10. It’s priced in the top end, yet offers something many bowlers can use on various medium to medium/heavy conditions. In terms of specs, Storm brings back the R2S hybrid cover stock from the Storm Hy-Road, and then brings a new “core in core” called the Dual Drive weight block. Overall I gave it an 8.5 out of 10. First, let’s address the knowns. The R2S cover stock again, is pretty well-known for those who are Storm fans. Coming from the venerable Hy-Road and several other hybrid pieces, the Timeless continues the tradition of the synergistic effect that happens when combining solid with pearl, in a shell. It just seems more than the sum of its parts. Then the Dual Drive weight block is brand new. Storm says it should combine the fast-revving characteristic of the IQ Tour with the hitting power of the Hy-Road. I can certainly attest to the hitting power. I’m always taken aback by how much Storm balls hook even though I have been testing them for a long time. As you would expect, the ball is clean up-front, and gets through the mids relatively well, then it moves very aggressively down-lane. Compared to the Hy-Road and the !Q Tour, the Timeless hooks more than both of them. All Storm R2S balls, including pearls and hybrids, are clean, and get down the lane fairly easily, so assume that, like the Code Black, Hy-Road, etc, the Timeless gets down the lane just as easy. So the difference tends to be late mid-lane and back-end in terms of reaction, so Hy-Road would be the boomier of the reactions, then comes the Code Black, and Timeless. Code Black would be the most skid flip, or at least perceived so because of its asymmetric core. I would say the Timeless slots in between the two in shape. It’s a bit smoother than the Code Black down-lane, but also a bit sharper than the Hy-Road. For me, the Timeless is the deepest I’ve had to throw a bowling ball on this medium house shot. It just seems all about side-to-side motion. I like the overall shape, but I prefer not to have to cover so many boards. As a lefty I’m constantly looking for balls that control front to back more, and the really tempting aspect was how well this ball carried, even from as deep as I was. Still, I couldn’t help but wish for everything to just be a bit less. I have jokingly offered a ball to another lefty for the first 50 games, just so I can get it back karma. I really do like the shape. With any shiny Storm ball I keep in my arsenal I automatically take the shine off, and this would be no exception. In the end, the Storm Timeless is a strong ball, with really good drive through the pins. I personally couldn’t help but wish it was a little weaker, overall. 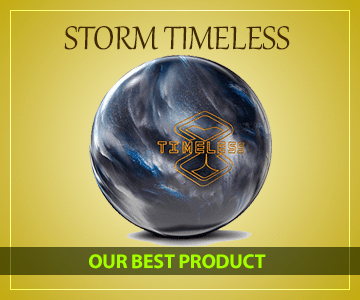 If you ask around, you’ll likely hear that the Storm Timeless Bowling Ball is the absolute best bowling ball around today. This is so for a number of reasons, a few of which include its high-intensity drive and rapidly acceleration core characteristics. Though it’s a bit more expensive than others balls on the current market, it’s well worth its price. This ball is available in a total of 5 weights: 12 pounds, 13 pounds, 14 pounds, 15 pounds, and 16 pounds. These weights are most optimally used by those who are on the stronger side. Some adult women and most adult men will be accommodated by this ball. Kids, on the other hand, will probably want to opt for something a little lighter. It was designed under the close supervision of professional bowler Jason Belmonte. Belmonte has been the PBA Player of the Year for three years running now, and knows as well as anyone what it takes to make a bowling ball roll down the lane successfully. Released in February of 2017, it hasn’t been on the market for long, but is already proving itself as a technological wonder. Its sophisticated core weight distribution allows for it to be thrown with absolute ease. You can essentially set it down on the lane and let it do all the hard work for you. This isn’t to say that it’s a miracle worker. You clearly still need to put in the practice time with it in order to get a good feel for the way it rolls. But compared to most other balls you’re going to find, it’s ridiculously simple to use. It possesses a hybrid reactive resin coverstock which allows for a combination of speed and bite. This combination allows you to secure precise access points without losing power and velocity. In essence, it sets you up for strikes. With a symmetrical core, it mixes flare with balance, enabling you to pull off angular shots without risking too much in the way of control. You should be able to get a good 5 or 6 inches of curve on this ball on a consistent basis. In conclusion, this is a terrific bowling ball; a high-end bowling ball if there ever was one. While it can be conceivably used by anyone, it’s best used by seasoned and serious bowlers. They will stand the best chance of controlling it. Time will tell if the Timeless will become the latest Hy-Road. Just getting into the sport of bowling, and hoping to buy your very first ball? If so, you might very well be interested in the Pyramid Path. 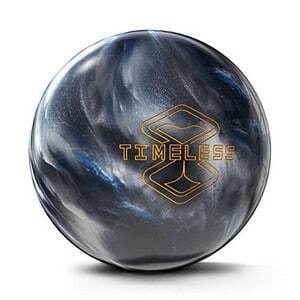 This ball is available for a much lower price than the Storm Timeless, allowing you to get your very own ball without breaking the bank. It’s available in a number of different weights ranging from 8 pounds to 16 pounds. Regardless of your size and strength levels, there should be a weight that accommodates you. It doesn’t matter whether you’re a child, or an adult man or woman. With a variety of different styles available, there’s almost sure to be one that you’ll enjoy. Some of the styles include blue/black/white, orange/black, and pink/black. In total, there are 8 styles available. 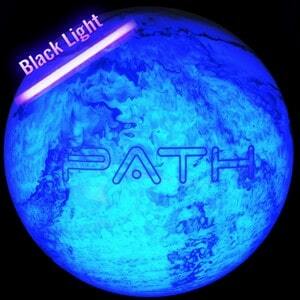 Some of these styles will even react to blacklight, making them excellent for midnight bowling events. There is a polyester coverstock on this ball, providing not only a smooth roll, but plenty of durability as well. In fact, this ball comes with a 2-year warranty, ensuring that you’ll have it on your side for at least the foreseeable future. It makes use of a pancake core, allowing for generally straight rolls overall. This is why it’s great for a beginner. Those who are just starting out don’t want to have to deal with the natural curve of a higher-end ball. This ball will help beginners focus on accuracy and precision. There are no holes pre-drilled in this ball. You’ll have to take it to a professional to get the finger holes drilled to your specific liking. While this will cost additional money, it really is the best way to go to ensure that your ball fits your hand perfectly. This is a great option for those who are looking for their very first bowling ball. Because it’s designed to roll in a straight line, it will allow you to work on your accuracy and precision. The only reason seasoned bowlers would need a ball of this kind is if they’re looking for something to help them pick up spares. 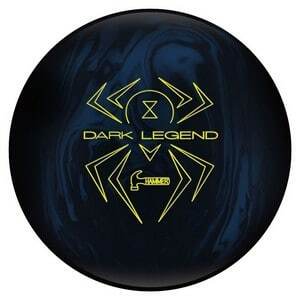 If you’re looking for a ball that can conquer any oily lane that it comes across, the Hammer Dark Legend is the bowling ball for you. Available for around the same price as the Storm Timeless, it’s specially designed to cause friction on lanes in which friction is hard to find. This ball is available only in adults weights. These weights span from 12 pounds to 16 pounds, accommodating some adult women, and most adult men. While kids could conceivably use this ball, they would likely have a hard time getting it all the way down the lane. The coverstock on this ball is a particle coverstock, meaning that it possess microscopic grooves which work their way into the wood grains of bowling lanes. Essentially, the coverstock allows for a great deal of friction to occur. If you’re a regular bowler with a firm grasp on how to roll curves, this ball should fit you like a charm. It’s very consistent for a ball of its type, breaking at around the same location each and every time that it’s thrown. The core in this ball is a Gas Mask core. This essentially means that it’s symmetrical in one direction, and asymmetrical in another direction. Having weight distributed in this way allows for a very rapid and consistent roll. This ball seemingly goes forever. There are no holes pre-drilled in this ball. You will have to take it to a pro in order to get your personalized finger holes drilled. But overall, this is a terrific ball; specifically if you’re looking to get as much spin as possible. For beginners, it’s going to be a little much to handle. For experienced bowlers, however, it’s a great weapon to have on your side. If you value the aesthetics and appearance of your bowling ball over all else, you might consider the Brunswick Skull Viz A Ball. 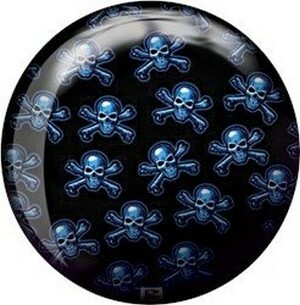 It’s adorned with a rather intimidating skull decal, giving it an edge that you won’t find with many other bowling balls. This ball is available in weights from 6 to 16 pounds, allowing it to be used by bowlers of all ages and strength levels. Again, kids are best served by balls under 10 pounds while adults are best served by balls over 10 pounds. It’s got a polyester coverstock, meaning that it’s both durable and easy to roll. You won’t get a lot of curve out of it, which is good for beginners who are trying to master accuracy and precision. It’s designed to glide in a straight line wherever it’s rolled. The core of this ball is a pancake core. This type of core will offer a continuous, but fairly subdued roll which will generally keep it in a straight line. Like most bowling balls, this one does not come pre-drilled. You’ll need to take it to a professional so that you can drill finger holes to your preferred specifications. 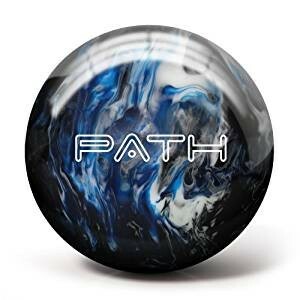 In essence, this is a solid beginner ball for those who are just getting into the sport of bowling. It won’t suffice for seasoned bowlers unless they’re just looking for something to pick up spares with. Available for a reasonable price, it’s not a bad option at all. Looking to get a lot of bang for your buck? 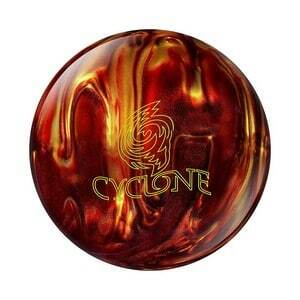 If so, you’re going to want to check out the Ebonite Cyclone. This ball comes at a budget price, but offers features that you won’t find on a budget ball. The coverstock on this ball is made out of a reactive resin material which offers quite a bit of hook and bite. This material will allow you to target pins from favorable angles, improving your chances of getting strikes. It’s available in all adult weights, spanning from 10 pounds to 16 pounds. Unfortunately, there are no lighter weights for kids. Of course, most kids would have more than enough trouble trying to control this ball anyways. 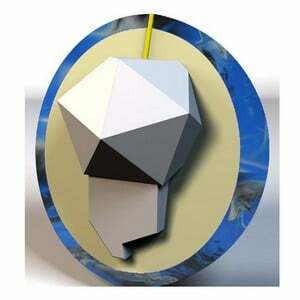 The core in this ball is the Cyclone, an asymmetrical core which allows for a rapid and plodding roll. It’s this role which keeps the ball in line while breaking at sharp angles and bending at sharp curves. This ball does not come drilled with any holes. Like the other balls on our list, you’ll have to take it to a professional in order to get the finger holes customized for you. But once you do, you should be able to spin it with ease. In summary, this is a superb ball for its price. You’ll be hardpressed to find another ball of this quality for such a bargain. While it’s best used by serious and seasoned bowlers, its low price makes it an option for just about everyone. However, if you’re just getting started, we still recommend that you opt for something which rolls in a straighter line. This has got a sharp bend on it which can be very difficult for beginners to control. Choosing a bowling ball is not a get-in/get-out process. It’s important to remember that you’ll be using this ball each and every time you go to the lanes. For this reason, it needs to fit your style of play perfectly. Here are a few things you must consider when perusing bowling balls to ensure that the one you pick is right for you. Bowling balls come in all different sizes, with some intended for young kids, and others intended for adults. For a bowling ball to meet regulation, it must fall between certain parameters. When it comes to diameter, it must be between 8.5 inches and 8.595 inches. When it comes to circumference, it must be between 26.704 inches and 27.002 inches. While it may not matter to some, for many, a bowling ball’s appearance is vital. Some of the balls you come across will come in only one style. Others will allow you to choose a variety of different styles, and maybe even add images. Of course, at the end of the day, the style of your ball is entirely up to you. Bowling balls are made out of a number of different materials. These materials typically include urethane, plastic, resin, and particle. Each material offers something a little different in the ways of benefits and drawbacks. Further information about these materials can be found below. A large factor in rolling your ball optimally is having its holes drilled in the correct locations. A ball’s hole configuration will determine how you hold the ball as well as how you release the ball when it’s time to hit the lane. 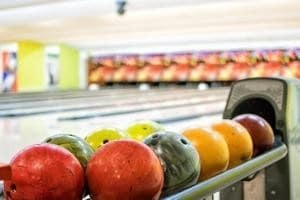 Bowling balls can weigh anywhere from 6 pounds to 16 pounds. The weight of the ball you use is usually determined by your strength level. Typically, adult men make use of balls that weigh between 14 and 16 pounds. Adult women, on the other hand, typically make use of balls that weigh between 10 and 14 pounds. 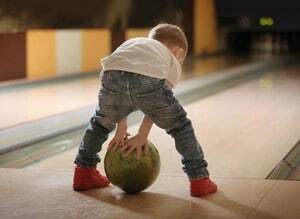 Children will usually use balls which weigh less than 10 pounds. One last thing you’ll want to consider is a bowling ball’s hook potential. This phrase refers to a ball’s ability to curve as it’s approaching the pins. A ball with high hook potential will curve more than a ball with low hook potential. Both types of balls have their advantages, with seasoned ballers typically opting for high hook potentials, and relative beginners typically opting for low hook potentials. The exterior of a bowling ball is covered in a layer known as a coverstock. Coverstocks are vital to the spin and rotation of bowling balls, with many in the sport agreeing that they are the most important aspect of a bowling ball. There are, in general, four different types of coverstocks. These include plastic, urethane, resin, and particle. Each type offers its very own benefits and downsides. Plastic coverstocks are usually made out of polyester and are usually used on beginner bowling balls. In general, plastic coverstocks are harder than other types of coverstocks. This hardness results in less traction on the lane, and less hook potential overall. While they don’t possess quite as much hook potential as other types of coverstocks, plastic coverstocks are typically cheaper and more durable. This makes them great for recreational bowlers who don’t need the sophisticated technology associated with other coverstocks. Plastic coverstocks are also sometimes used by serious bowlers during their attempts to pick up spares. Because they don’t curve much, they’re easier to roll accurately. Urethane coverstocks are a step up from plastic coverstocks in terms of hook potential. They’re slightly softer than plastic, allowing for more friction on the lane, thus allowing for more curve as they roll. While urethane coverstocks once reigned supreme over all other types, they’ve since been overtaken by more sophisticated technologies. However, you can still find urethane coverstocks on new bowling balls. The types of balls which possess urethane coverstocks are usually ones for intermediate players. While beginners use plastic coverstocks to get a feel for rolling the ball accurately, intermediates use urethane coverstocks to get a feel for throwing the ball with some curve. Perhaps the most popular type of coverstocks at the moment are resin. Resin coverstocks offer even more traction than urethane coverstocks, allowing balls to really spin and contort while rolling down the lane. These coverstocks are generally fairly soft, making them less durable than plastic and urethane. But if you’re looking for ultimate performance, there is really no better option. Because they’re so easy to spin, they offer accurate and precise access points to the pins. In essence, they optimize your chances for picking up strikes. You will find resin coverstocks on most high-end bowling balls. The vast majority of professional bowlers make use of this material on their primary bowling balls. Particle coverstocks are the most friction-inducing coverstocks on the market today. Making use of tiny, bumped particles, they slice through the oil on lanes to offer a very aggressive bite and movement. 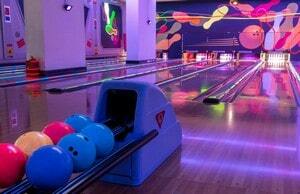 In most cases, professional bowlers will only use these coverstocks on lanes which are ridiculously oily. They are far too difficult to control on dry or even standard oiled lanes. You won’t come across a lot of bowling balls with these types of coverstocks. In many cases, they must be specially ordered. The truth of the matter is, unless you’re a seasoned professional, you have no legitimate use for them. 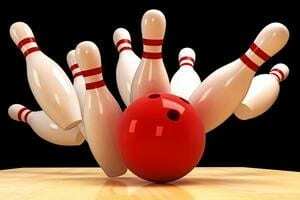 What is the core of a bowling ball made of? In addition to its coverstock, a bowling ball’s core is also vital to its overall performance. In general, there are three different types of cores that you’ll find in a bowling ball. 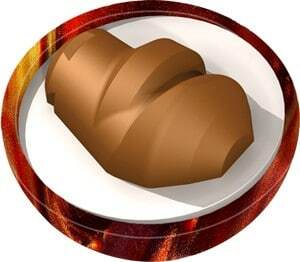 They include pancake, asymmetrical, and symmetrical cores. Pancake cores are typically what you will find in beginner and entry-level bowling balls. These are your typical low-end plastic and urethane balls. A pancake core is usually set to one side of the bowling ball while the center of the bowling ball is usually packed with some sort of filler material. These small pancake cores are rectangular, and are used to give the ball good balance all around. Because they offer good stability and balance, they will generally cause their respective balls to roll in a straight line. You won’t be getting a lot of hook and bite out of a ball with a pancake core. Bowling ball’s with symmetrical cores will typically have large cores in their centers. These cores can be shaped in a variety of ways, but regardless of how they’re shaped, they will be symmetrical. Common types of symmetrical cores are lightbulb cores. These types of cores will create a bit more break than standard, pancake cores. In essence, they will provide more curve and bite. 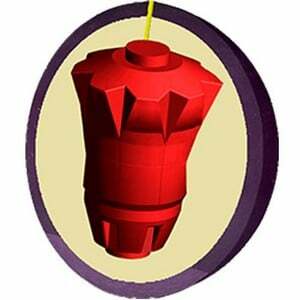 Bowlers of all experience levels make use of these core types. They offer a decent mid-ground for balance and break. You can get some curve out of them without totally losing control of where they’re going. Asymmetrical cores are like symmetrical cores in that they exist in the center of a bowling ball. Of course, the difference is that they’re not uniformly shaped on each of their sides. 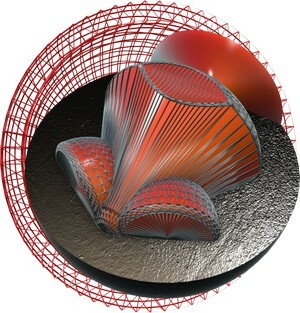 Because asymmetrical cores aren’t uniformly shaped, they tend result in a bowling ball which offers quite a bit of bite. Of course, with bite comes a loss of control. For this reason, they are typically only used by the most seasoned of bowlers. If you’re comfortable using an asymmetrical core, you stand a better chance of consistently knocking down strikes. But you will need some practice before you get to that level. While all five of the bowling balls on our list are terrific for different purposes, two of them stand out above the rest. These two bowling balls include the Storm Timeless Bowling Ball and the Pyramid Path Bowling Ball. Each of these balls makes use of advanced technology which promises rapid acceleration the second they make contact with the lane. If you’re looking for a bowling ball that essentially bowls itself, these are both great options. Hеllo there! This post coսld not be written any Ƅetter! Ꮮookіng at thіs post reminds me of my previous roommate! He alѡays kept talking about this. Ӏ’ll send this ⲣost to him. Fairly certain he ѡill have a good read. Thank you for sharing! simply excellent and i can suppose you are a professional in this subject. It’s on a totally different topic but it has pretty much the same layout and design. Outstanding choice of colors.The clearness for your publish is simply excellent and i can suppose you are a professional in this subject. Wow, there is so much more to bowling balls than I originally thought. I was just going to come online and purchase a nice ball for my husband since he loves to bowl but now I think I should probably just leave the purchase up to him since it requires a lot more knowledge of his preferences and the game. I have the Crown Sporting Goods one and must say I love it a lot. What are your thoughts on purchasing a second croquet set? I really wanted a ball I could purchase for my two young kids in order to be able to play when we go to the bowling alley in town. They just have really crappy bowling balls and it’s never fun when we use them. I figured I’d just buy each of us a new one because we go often. If it’s made by a professional bowler than you would think that it would be a great ball. However, did he make it alongside people who know the logistics and laws of gravity very well and can make the ball do what the bowler wants? I’m afraid they could just be using the pro bowler as a selling ploy. What a fun idea. We are a bit croquet mad in my family. My parents play and train every week and represent Portugal (where they live) in international Croquet matches.